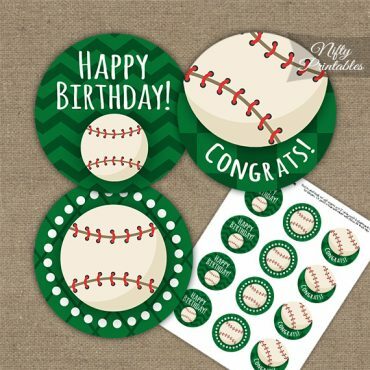 Printable blank labels featuring a unique green mix of patterns and of course, baseballs! 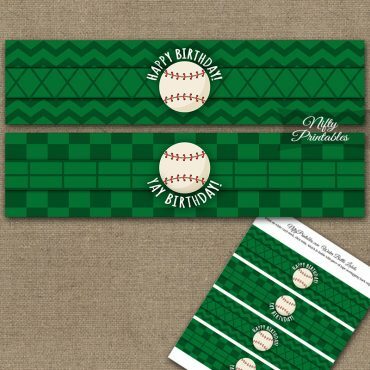 For your favorite baseball player, team or event. Suitable for kids & adults, male & female birthday party decorations.